The "Monday Night Wine Session" is an informal wine-tasting get-together aimed at giving individual participants, couples or small groups an opportunity to sample a selection of quality Spanish wines accompanied by a qualified wine instructor, and for just 15 euros per person! 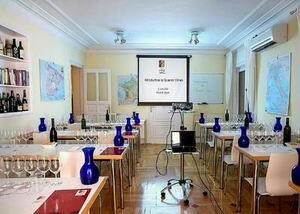 This wine tasting session is held in a specially conditioned tasting classroom, in the centre of Madrid and close to the Metro stations of Colón and Alonso Martínez. 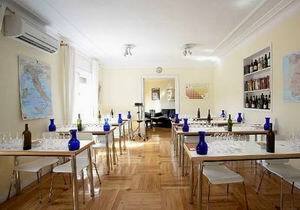 Wines: 5 Spanish wines selected from a list of 8, changed every month. Participants get the chance to select 5 wines from a list of 8, and of course can receive expert guidance from the wine instructor to make their choice. 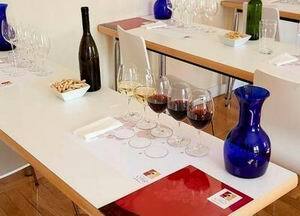 An information sheet on the wines is provided and tasting takes place in an informal manner, giving participants the chance to taste the wines at their leisure, while chatting, sampling some light snacks and obtaining information about the wines from the wine instructor. The Spanish wines served range from some of Spain's great value wines to the top "reservas" and the selection is changed every month to focus on a different aspect of the great range of Spanish wines available today. 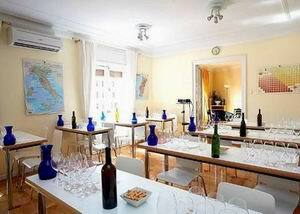 This is the perfect option to get to know great Spanish wines with a professional tutor in an informal setting. Those wishing for a slightly more formal and comprehensive class, with more wines on offer, should check out our Monday Night Classes.